Our restaurant can seat up to 45 diners. Looking for more privacy? Reserve our private dining space which seats up to 16 people. You can reserve a table using our online reservation system. When making your booking let us know if you have any special dietary requirements or food allergies that we need to take into consideration. NOTE: Reservations for the same day can only be made by telephone. The Millèn is located on the first floor of the Rotterdam Marriott Hotel. 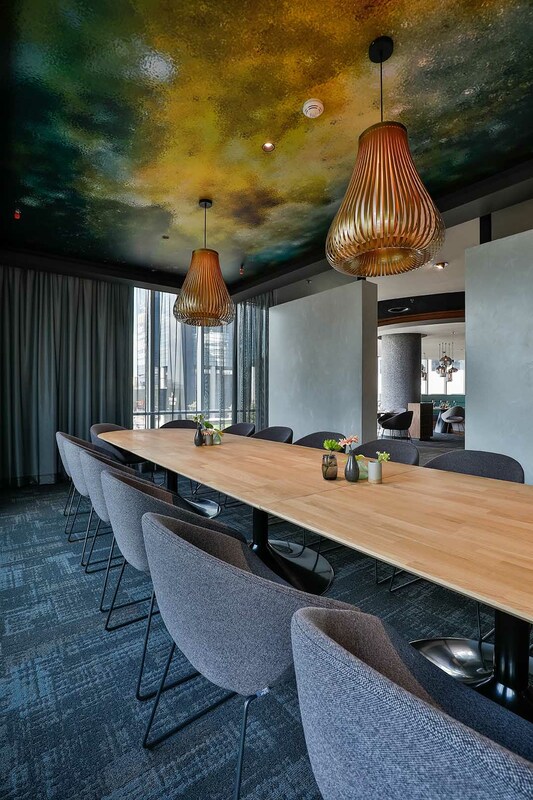 The Millèn is located in the Millennium Tower on the first floor of the Rotterdam Marriott Hotel which is directly opposite Rotterdam Central Station, making it easy to access by public transport. There are a number of parking garages close to The Millèn, including Central Plaza Parking, Schouwburgplein Parking and Weena Parking. From Central Plaza Parking you can take a lift directly from the Millennium Tower to The Millèn on the first floor. Check online for other affordable parking options in central Rotterdam. As a guest at our restaurant you are entitled to use the Rotterdam Marriott Hotel’s valet parking service. For more information, please contact the Rotterdam Marriott Hotel. Our restaurant has a separate dining room which seats up to 16 people. Book this space if you would like to have lunch or dinner at The Millèn with your group and would prefer to be seated somewhere more private. Restaurant The Millèn, rewarded with 1 Michelin star in the Michelin Guide of 2019, is located on the ‘R’ floor of the Rotterdam Marriott Hotel (5 stars). The result is an exclusive culinary offer in partnership with The Rotterdam Marriott Hotel. This exclusive offer consists of a 6 course set menu dinner with wine pairing in The Millen and an overnight stay in an Executive Room in the Rotterdam Marriott Hotel for maximum two adults including breakfast.  – 6 courses all in dinner at The Millèn restaurant: welcome with glass of champagne, table water, 6-courses menu with matching wines, coffee/tea service with friandises. The package can be booked from Tuesday to Saturday and is based on availability. For more detailed information press here the Gourmet Package Offer link or contact directly the reservations department of the Rotterdam Marriott Hotel on +31 10 4302222 or via reservations@marriottrotterdam.com. The hotel will make your reservation at The Millèn and confirm it to you.